Finally I have finished my assesment for .Net programming lectures. 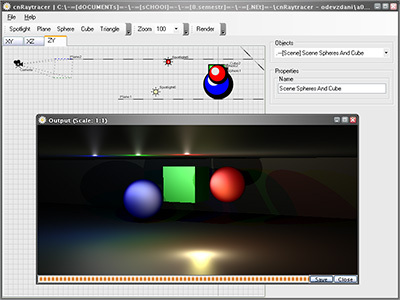 cnRaytracer is a core of simple and not efficient raytracing program :O). I have to mention that I have used SandBar. This great library is free for non-commercial use and allows your applications to have office-like appearance. You can try my cnRaytracer. Source code and documentation is attached.